Edmonton Public Libraries CEO Pilar Martinez defends against censors. 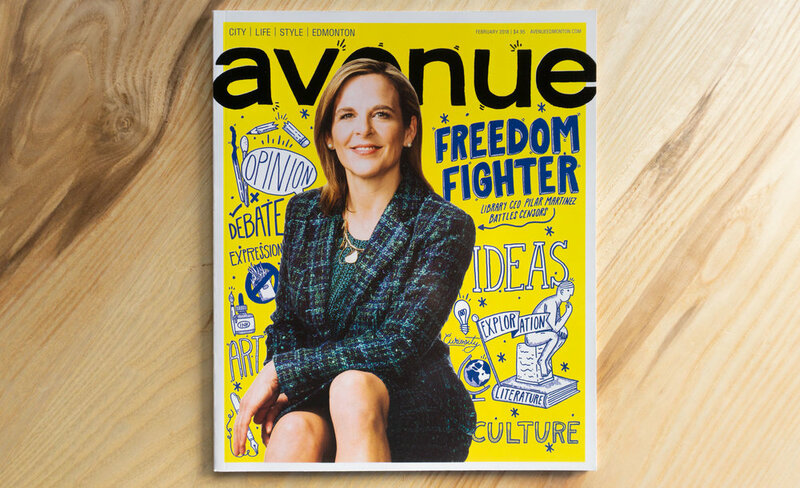 This was my first cover, and a great chance to collaborate with the design team at Avenue Magazine and photographer, Daniel Wood. The brief called for shelves and stacks of books and I was able to hide some of my favourite books in the shelves, as well as some that I made up (ie. DIY Dentistry, Harry Potter 2: Back To School and The Introverts Guide to Dancing).